In this post I’ll introduce the first DSC resource from the vSphereDSC module, the VmwFolder resource. Since this is the first post in the series, I will also expand a bit on how the vSphereDSC module is set up and which conventions I’m using. A vSphere Folder is a resource which can exist rather independently in an existing vSphere environment. 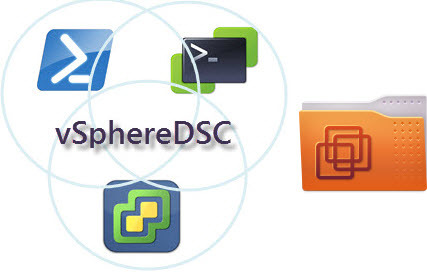 You can easily create some test Folders to get the hang and feel of the vSphereDSC module and play with DSC Configurations based on this vSphereDSC resource.